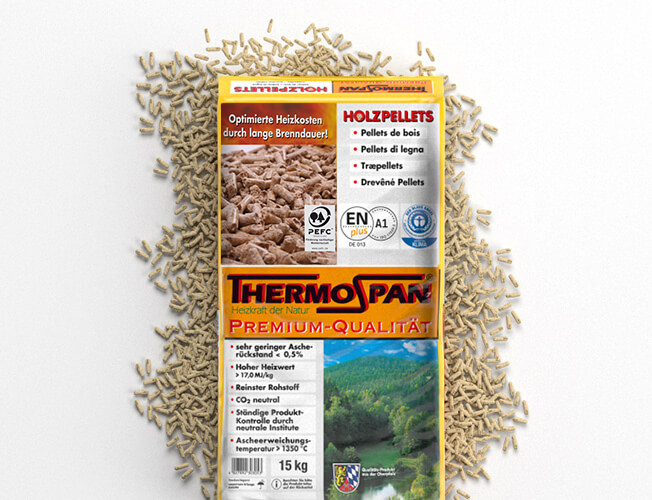 Since January 2004, we have been producing wood pellets and wood briquettes under the Thermospan brand. 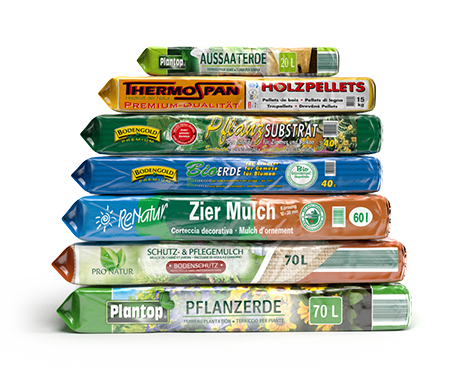 At our production facilities in Stein, we produce around 120,000 tonnes of wood pellets and around 25,000 tonnes of wood briquettes annually. 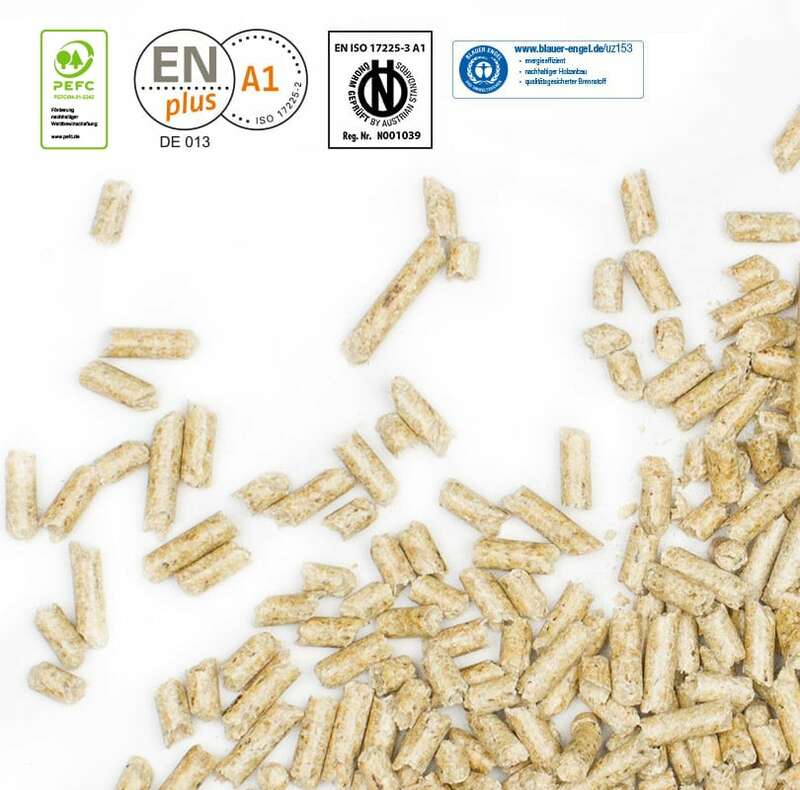 Wood pellets – renewable heat. As a renewable fuel, wood is the perfect solution for a secure, sustainable heating supply. Unlike fossil fuels, burning wood pellets is broadly carbon neutral. Burning wood pellets releases the same amount of carbon dioxide (CO₂) as the tree absorbed when it was growing. The carbon cycle therefore remains in equilibrium. We currently have about 50 staff working for our Thermospan brand at our Stein site. 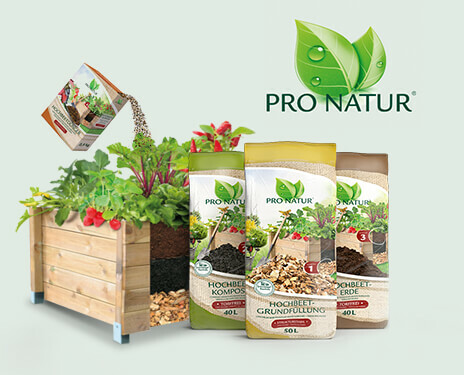 Our products are sold via local and national distribution partners. 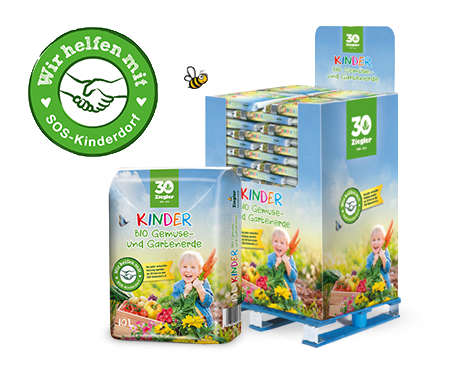 Two thirds of our output is currently sold in Germany, with the remaining third sold to neighbouring EU countries. We have a secure supply of raw materials for our wood pellets and briquettes from local large sawmills. 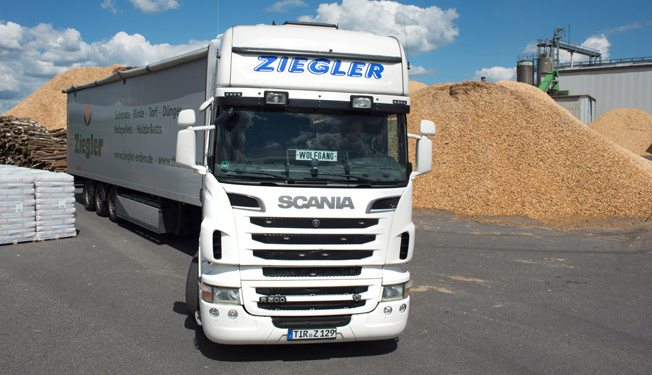 The wood chips produced by the mills are collected in our own trucks and delivered straight to our production facilities. Sourcing our raw materials locally makes an important contribution to a climate-neutral production process. And our PEFC certificate verifies that the raw materials we use come from sustainable, environmentally-friendly forestry. 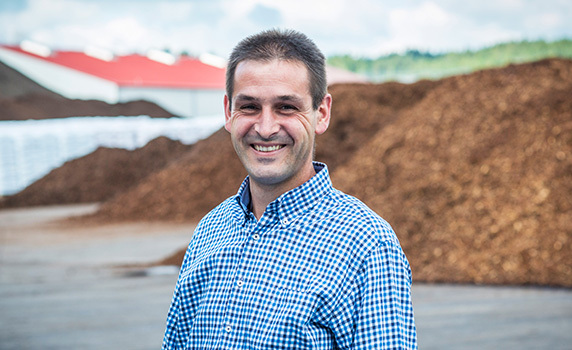 The wood chips are dried using the waste heat from our biomass CHP plant. 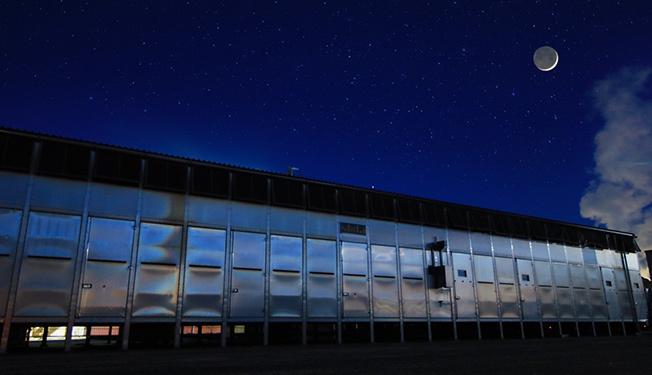 The technical drying process reduces the amount of residual moisture to less than 10%. This significantly increases the calorific value of the wood and reduces particulate emissions during burning. The energy produced by our CHP plant is used for further processing of the pellets. 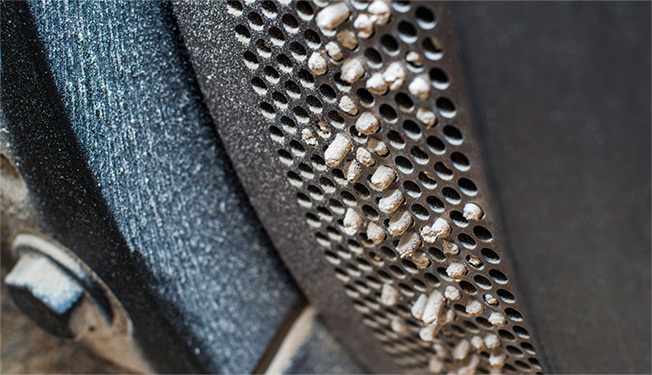 The material is compressed under high pressure and then pressed through the holes in a die. The finished, pressed pellets then cool on screw conveyors. Some of the pellets are then filled into bags. 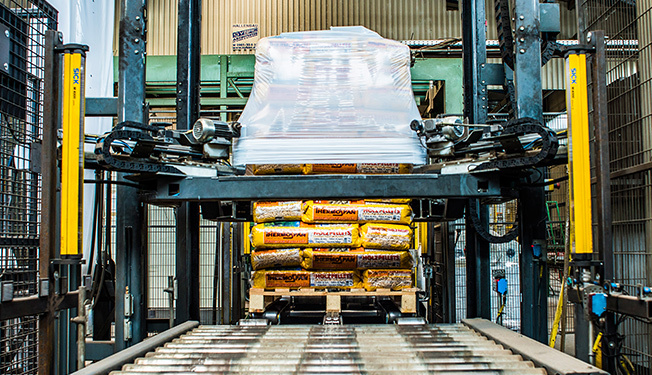 The bags are sorted onto Euro pallets by industrial robots. They are then film-wrapped to provide waterproof protection. 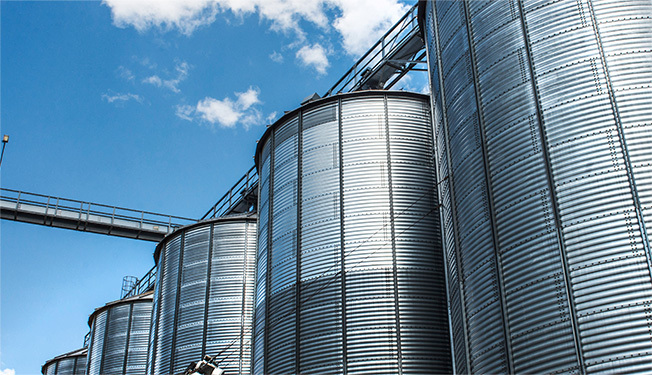 To enable us to supply pellets as and when required, our pellet silos are filled all year round. Your contact for all wood pellet production enquiries. These environmentally-friendly fuels are a genuine alternative to fossil fuels.